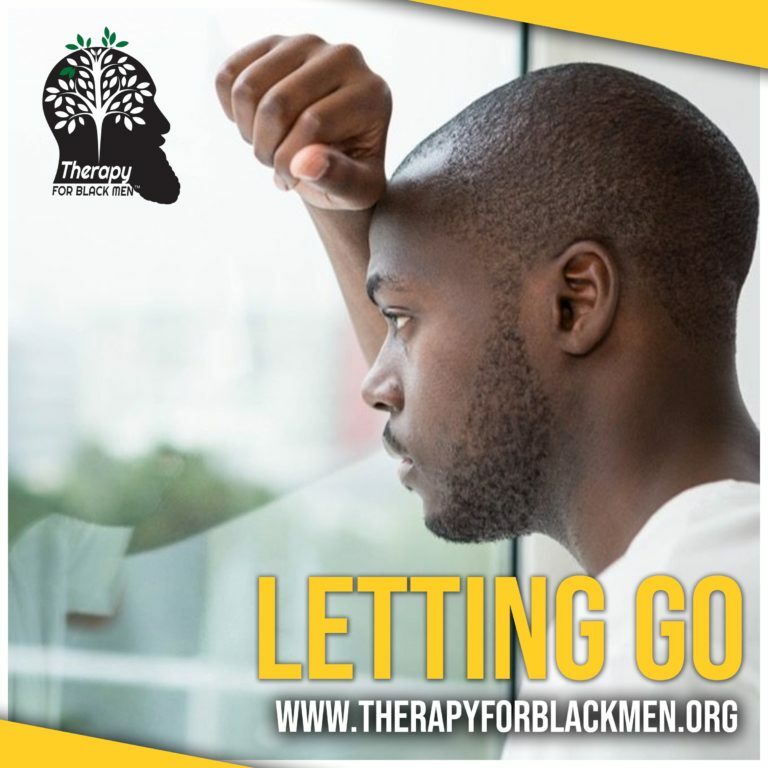 As a licensed mental health clinician and a black man, I have experienced, noticed, and practiced holding on to people, places, things, feelings, behaviors and thoughts that were hindrances to living a better life. I want to ask you these questions that I not only ask my male clients, but myself at one time. This in an opportunity to step away for a second and reflect on your life choices and patterns. Are there things that you need to let go; relationships that you need to let go; habits that need you need to let go; thoughts that need to cease from repeating; places that don’t need to be visited anymore; feelings that no longer need to be fed and fueled? It’s time to let go! If you aren’t sure if you’re there yet, hopefully this can help you identify if you need to let go so you can move forward to a healthier/happier you. Sometimes we don’t even realize that we are holding onto things that aren’t good for us. Sometimes holding on hurts us and does more damage than letting go. Sometimes the things that we think are holding us together are actually holding us hostage and stagnant. We can literally be held together by “crazy” glue. As men, we are told and taught to be fixers but not every assignment is ours. There are family members that we need to let go of so they can either learn to walk on their own or fail without bringing you with them via exhaustion. We must accept that some family members are just toxic and draining. We also need to understand that when we have failed, messed up and/or made a mistake that it’s a learning lesson and not always an opportunity to fix. We get so caught up in the idea that we can rectify relationships or situations when we can’t always do it. We have to come to terms with failures and make efforts not to repeat behaviors in the future. There is a lot of success in acceptance that we aren’t always the hero. It’s really okay. Failing at something doesn’t make you a failure. We have to separate the behaviors and experiences from the person we are. The truth is, is that we all need help. We may have experienced times where we made ourselves available for help and was let down. We have to let go of those experiences and trust ourselves with the outcome of becoming vulnerable. There is that word “vulnerable,” “vulnerability.” Let’s dive into that for a moment. Were there were times where you asked for help and was belittled for asking or were rejected; if you received help and was mocked and it was thrown in your face/used against you by being held over your head? What about those experiences haunt you? Is it that the person helped or didn’t, or reminds you that they did? I say today, it’s time to not let me dictate how you operate with others. Maybe we could use better discernment on whom we ask and once again trust ourselves with the responses from others because the truth is, we don’t have to do everything alone and not every person is out to get us. We are bigger and stronger than those experiences. What does it feel like to be vulnerable? Powerless/weak/accessible/naked. There is so much intelligence and power in outsourcing so you don’t have to do everything. Identifying where you could benefit from support is strength. Reserve energy for other things by delegating a weakness to someone else to tackle. Reframe what it means to be available. In those moments, you learn whether you have gained a partner in life or they reveal themselves as someone who doesn’t deserve to be in your presence. Being vulnerable to another person allows you to figure out what you need to be stronger. Experiences provide knowledge, growth and wisdom. The bottom line is that we shouldn’t always have to be this robotic soldier without feelings that says we don’t need anyone else to help us in any area of our lives. The truth is that we have people in our lives who will help us with certain things. We just have to build that team to help with the things we neglect or attempt to do ourselves all the time. Let’s let go of the experiences, things and thoughts that we don’t need help because the right help is available. Let’s not ignore the good experiences when we were vulnerable. I could list many other things, but they may not all pertain to you. I want you to write a list of the people, places, things, thoughts, behaviors and feelings that you may need to let go of so you can live a better/healthier life. I also want you to consider therapy because it’s a place where you can figure it out safely. There are many things that a therapist has to adhere to in order to keep you and your thoughts protected. We have to practice confidentiality, which means what we say is legally bound in our sessions. Therapy is a place where you can say what you need to say, what you want to say, what you have never said and feel exactly how you are able to feel. I encourage you, brother, to let go. Let go! Paul Bashea (Bah-Shay) Williams, LCSW-C, LICSW is described as an Intellectual Emotionalist. Someone who understands what a man thinks and what a woman feels. Helping the two meet and have common ground by encouraging emotion and logic to agree. He is a dedicated father, Social Worker, Mental Health Therapist, Relationship Advisor and Author of Dear Future Wife: A Man’s Guide and Woman’s Reference to Healthy Relationships. He runs his own mental health private practice at Hearts In Mind Counseling. With over 15 years of counseling experience, he works with youth, adults, families, couples and groups. He writes about life, love, and fatherhood. His writing, acting, and public speaking has been featured on ABC’s Good Morning Washington, Fox’s Face The Truth, BET, Huffington Post, TV One, Radio One, Fatherly, national syndicated radio shows, television, movies, and conferences all over the nation.